Walker Glides attach to the bottom of your Invacare 6281 and Invacare 6291 series folding walkers including the I-Class Dual Release Heavy Duty Walker. These glide tips help make using your walker a smooth experience. 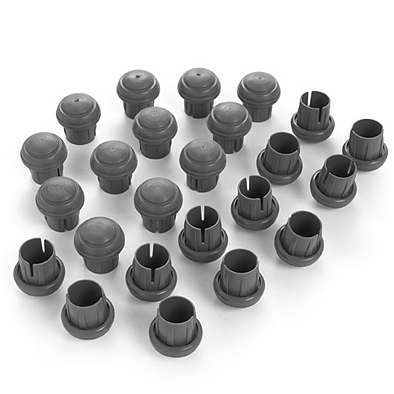 Simply attach these glides to the rear feet of your walker instead of the normal rubber tips and feel the difference.